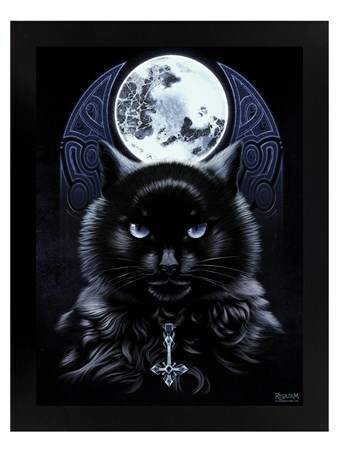 Mix life and death with this Requiem Collective black wooden framed mini poster. 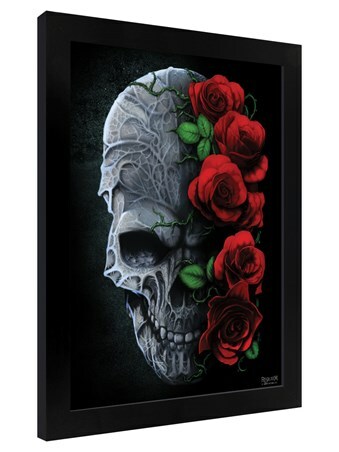 Shrivelled to the bone pulsing with evil, this devilish skull has been taken over by bad spirits. 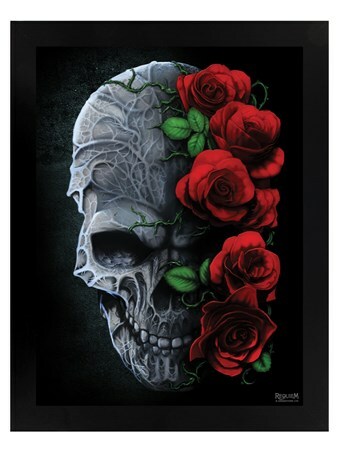 Unaffected on the surface, beautiful roses bloom around the skull and bring a sense of innocence. 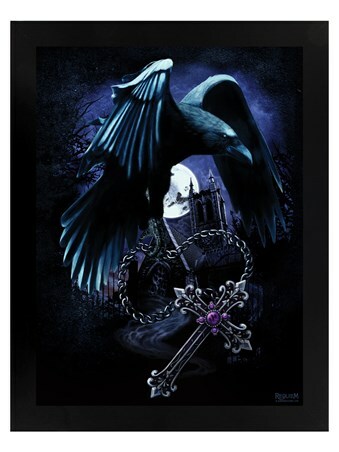 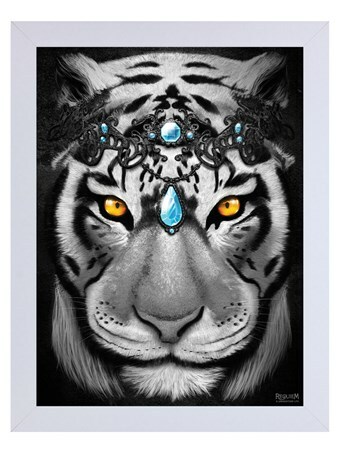 A perfect piece for anyone looking for some gothic elegance to hang in their home. 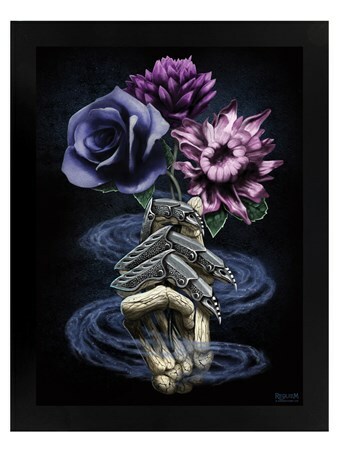 High quality, framed Immortal Bloom, Requiem Collective framed mini poster with a bespoke frame by our custom framing service.